We are proud of our excellent local reputation, which we believe is thanks to our highly trained, motivated and enthusiastic team. Our team has been with us for many years and this helps our patients build relationships based on a welcoming, friendly face, trust and reliability. Stephen Emms Advanced Dental Care in Doncaster adheres to – and surpasses – strict guidelines set by the General Dental Council. Stephen qualified from the University of Sheffield in 1989 and practiced dentistry in Skellow for 24 years, owning the practice for 22 years. He has undergone extensive postgraduate training in restorative dentistry and completed a year-long course in this field at The Academy of Clinical Excellence in 2009. He has been placing implant-retained prostheses for 5 years including single teeth, multiple bridge teeth and full mouth reconstruction using fixed bridges and implant-retained dentures. He has completed restorative courses for both Straumann and Nobel Biocare implants, the two leading dental implant manufacturers. He is an active member of the Association of Dental Implantologists. 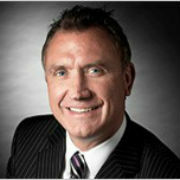 Stephen has also been a Foundation Dentist Trainer for 15 years and recently awarded Enhanced Trainer status. Stephen Emms Advanced Dental Care provides a professional and friendly environment for any foundation dentist. He also has a special interest in orthodontics. Stephen likes an active life and enjoys mountain biking, skiing, tennis and taking part in motorsport. He is married with twin teenagers, Sophie and Matthew. Richard qualified from the University of Sheffield in 1987. Since then he has undertaken extensive postgraduate education, mainly in restorative dentistry. 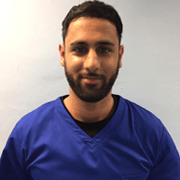 In 2005 he completed the Certificate in Implant Dentistry on the world renowned, eighteen-month, one-to-one implant course at the University of Sheffield. 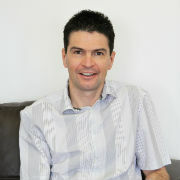 In 2011 Richard completed his Master of Medical Science in Dental Implantology. Richard has undergone training from Europe's top clinicians in hard and soft tissue manipulation including residencies with Palo Malo, Patrick Pallaci and Daniel Buser involving advanced bone grafting and aesthetics. To date, he has successfully placed and restored over 1,000 implants and is an active member of the Association of Dental Implantology. Richard places Straumann and Nobel Biocare implants for which he has been made a mentor by the company. Outside dentistry, when time allows, he enjoys going to the gym, playing golf and since hanging up his boots, likes to watch Rugby! 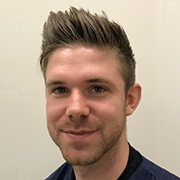 We are excited that Adam has recently joined the Practice, he has excellent patient care and is very enthusiastic about his Dentistry. He originates from Doncaster and has recently returned after studying Dentistry abroad. He is a keen Football player playing in a Sunday League, goes to the Gym most mornings before work and a keen snow skier. 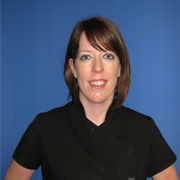 Kerry qualified from Leeds University in 2007 and has worked at Stephen Emms Advanced Dental Care since then. She is experienced in all aspects of dental surgery and has a special interest in endodontics (root canal treatment) and tooth whitening. 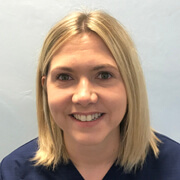 She has recently passed postgraduate examinations to attain the Diploma of Membership of the Faculty of Dental Surgery and is a Member of the Royal College of Surgeons. Born and raised in Doncaster, she is soon to start a family of her own. When not working she keeps fit with pilates, cycling and walking. Keeley qualified from Manchester University in 2016. 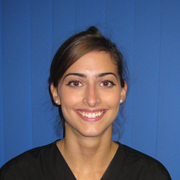 She is originally from Sheffield and obtained a degree in Biomedical science before deciding to study dentistry. She enjoys playing netball in a local league and also spends many weekends watching her local football team play. Ghous is originally from Halifax and qualified from Bristol in 2018. When not at work Ghous likes to keep active with boxing, going to the Gym and plays football weekly. Janette graduated from Sheffield University in 2006 with a distinction and a prize from the GDC in professionalism. She has worked in both NHS and private practice since qualifying. Janette is married with a young son and enjoys playing netball, skiing and cooking. She also runs her local toddler group. Pam is a fun, outgoing individual who has recently started competing in triathlons. Her spare time is spent training, running, swimming and cycling. She is currently also studying podiatry. 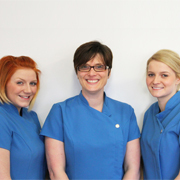 Joanne (Centre) seen here with Lead Dental Nurse Laura Windass and Dental Nurse Amy Vincent has worked at Stephen Emms Advanced Dental Care for 10 years. 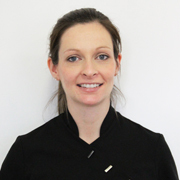 Originally trained and qualified in the British Army she uses her military organisational skills to ensure all dental equipment including the sterilisation machines in our dedicated decontamination room are correctly serviced and comply with the latest legislation. She oversees and arranges staff training to keep the team up to date with the latest guidance. Joanne also monitors all aspects of our day-to-day operation to ensure we comply with national requirements. Away from work, she has a teenage son and is a local scout leader.